Britefire’s Social Media Boot Camp is an essential jump-start for anyone wanting to save time, increase impact, and ramp up their exploitation of social media. If you are a social media community manager, and want to get hands on with the tools, techniques, smart hacks and engagement multipliers of content marketing, this boot camp is for you! And if you have a team of eight or more, let’s do it in-house so you get maximum value from the time. It totally demystifies the major social platforms and content marketing tools, and shows how they can practically be integrated in a powerful social content strategy. Learn how to create, curate, and manage shareable content for blogs, Facebook, Twitter, Instagram and other platforms! This inspirational boot camp will get you hands-on with the primary social media tools, and grounded in the essentials of brilliant content marketing. 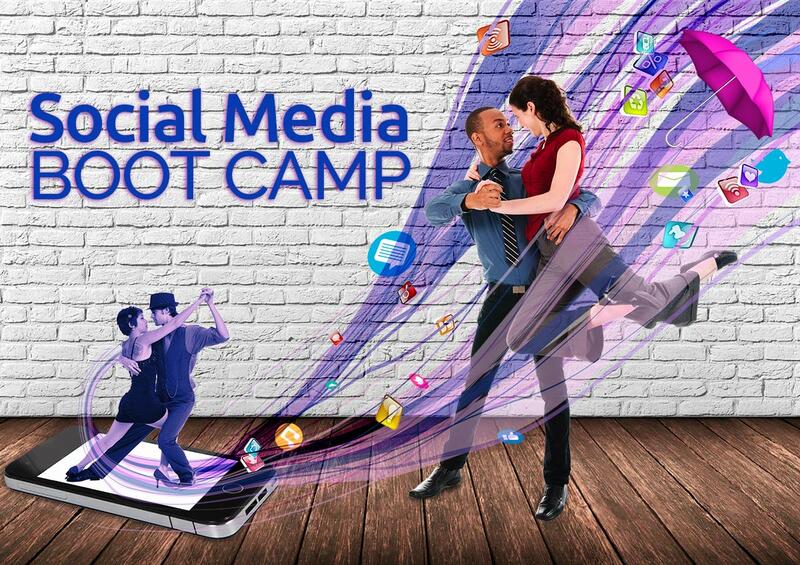 Why The Social Media Boot Camp? Content marketing is a primary key to social media success. Content (articles, conversations, posts, updates, images, audio, video) tells the world who you are, what you can do for them, and why you’re interesting. Content is the catalyst for engagement. No wonder content marketing skills are so much in demand today! Now that Facebook is not sending your status updates to your fans, and is blocking promotional posts, you have to get your content marketing right. Which platforms will give you better viral potential? How do you know which to use, and how to get the most out of them? You need to craft a social content strategy so you can get real results from your marketing. And you need to know the hints, tips, and inside secrets so you can get a whole lot more impact in a lot less time. The boot camp is designed for social media communicators and community managers who engage directly with customers in social platforms or blogs. This is a practical hands-on workshop. Content is the currency of customer engagement, and the foundation of reputation. If you have been blogging or using Facebook, LinkedIn, Instagram, Pinterest, YouTube or Twitter for your business, but without great confidence or direction, this boot camp will focus and inspire you. You will leave this social media boot camp with a brilliant workbook – and with the knowledge and skills to exploit confidently the power of today’s social toolset! includes VAT, lunch, refreshments, workbook and certificate. In-house 10% discount for 6 participants minimum. Joburg, Durban, or Cape Town.